The German Weissbier is a deliciously traditional beer from the Bavaria region (Germany). It's known for its high carbonation, wonderful banana and clove yeast flavors, lack of bitterness, and cloudy finish. Our recipe has balanced this Weissbier to ephasis the traditional flavors yet not have overpowering notes of banana and clove. It's wonderful! Why are we not calling this a Hefeweizen, you may ask? Well, we probably could have. The term "Hefeweizen" has become synonymous with this style of beer but we feel that “Weissbier” is more “True to Style” … and it’s our recipe! 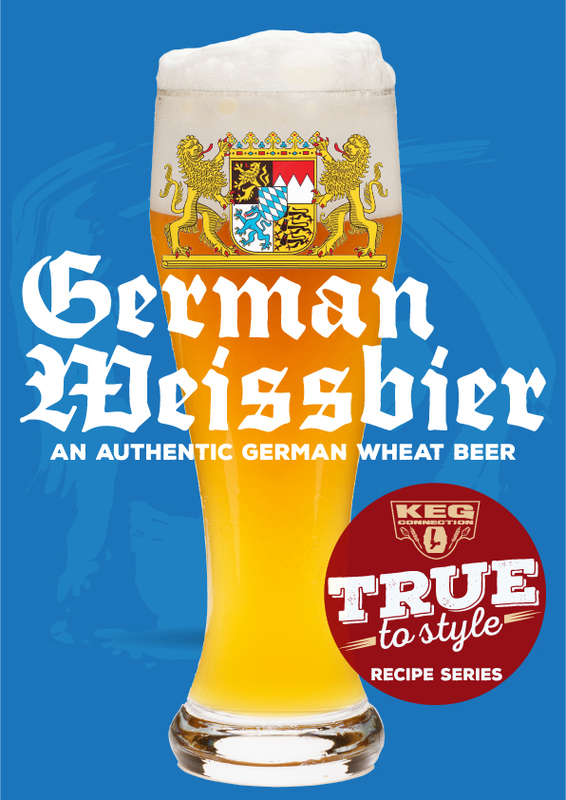 Additionally, the Weissbier has a distinct history in that it was an “outlaw” beer due to it not following the Reinheitsgebot purity law established in Bavaria in 1516 (which stated that only barley could be used as a grain in beer). The Royals of Bavaria utilized the age-old political solution to these types of issues: they simply exempted themselves from the law! The Dukes of Degenberg set up a brewery on the border with Czech and, in the early 1600’s, the last Duke of Degenberg died and the ruling Wittelsbachs gained control of Weissbier. Duke Maximilian quickly expanded production by brewing Weissbier all over Bavaria. This monopoly provided about one third of the entire State revenue for Bavaria at the time and helped the Bavarians fund their army in the 30 year war. So, enjoy brewing and drinking this historic beer, but don’t forget to watch over your shoulder for the beer police. You’re breaking the Reinheitsgebot! Are you looking for the All-Grain Version? Click Here!